1st Sgt. Samuel Avery, Hdq. Co., 103rd Inf. 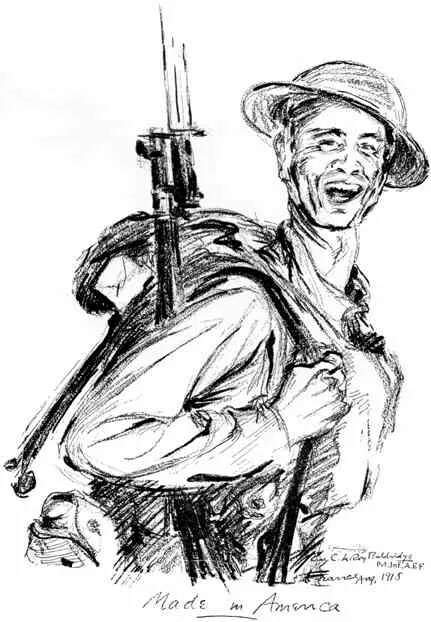 Regt., 26th “Yankee” Div. 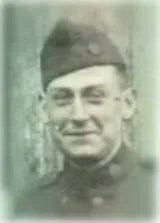 Samuel Edward Avery was a true American patriot and “Citizen Soldier”; one who lived for peace but trained for war and fulfilled his duty with honor on foreign fields of battle. Born 12/19/1892, Sam grew up in the city of Boston as the third of four siblings in a loving, working-class Irish-American family. His father Fred originally came from Maine and his mother Annie from Ireland. Sam graduated from the public schools in Charlestown, Massachusetts and at the time of these writings had civilian employment as a Shipper with the Bristol Patent Leather Company in Boston. Sam first enlisted in the Massachusetts Volunteer Militia in March, 1912 at the age of 20. 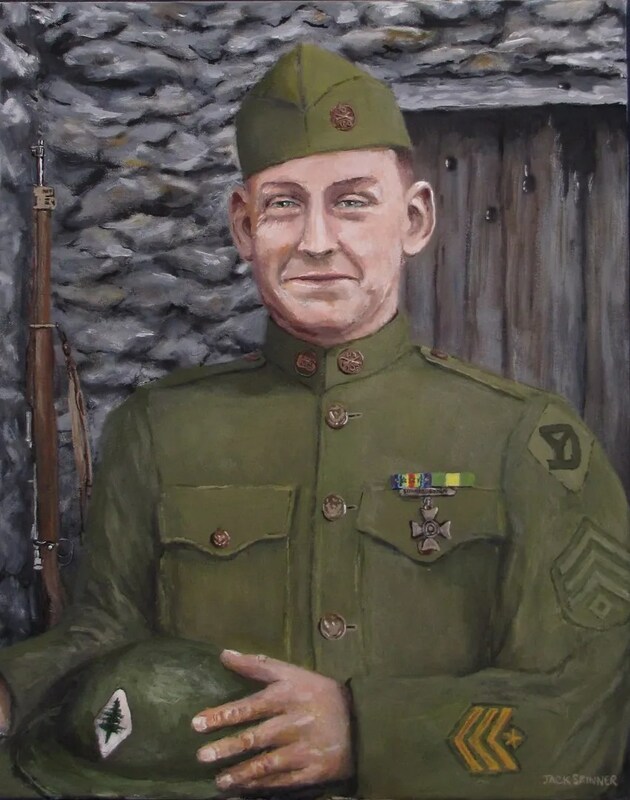 He qualified as a Sharpshooter and rose through the ranks to eventually become First Sergeant with K Company, 8th Regiment of the Massachusetts National Guard based at the Somerville Armory (now a Performing Arts Center and gallery). Sam served during the Mexican Border Campaign near El Paso, Texas in 1916 and then was mobilized into the American Expeditionary Forces as a member of the 103rd Infantry Regiment, 52nd Infantry Brigade, 26th “Yankee” Infantry Division. The “YD” saw 210 days of combat in France during 1917-1918 including the Champagne-Marne, Aisne-Marne, St. Mihiel and Meuse-Argonne campaigns, during which it suffered 13,664 casualties. Sam kept a pocket diary in which he noted the names of those in his unit who were killed or wounded during their time in the line. Ultimately Sam himself was injured by the effects of a German gas attack and was hospitalized for more than 2 months before rejoining his unit for the final offensive. After remaining in France for 4 months following the Armistice, Sam finally returned to the United States aboard a troop ship in early April, 1919 and received an Honorable Discharge from the U.S. Army for “Honest & Faithful Service” at Camp Devens on 4/28/1919. Almost 24 years later at the age of 50, Sam would reenlist in May, 1942 and serve again as a First Sergeant in the Massachusetts State Guard on the home front until his final discharge in August, 1945. These letters and diary notes in Sam’s own words tell the compelling story of life as a U.S. soldier on the front lines of World War I from the hot dry sands along the Rio Grande to the cold wet mud along the Meuse. I’m so happy I just found this! I’ve got some reading to do, it seems. I just wrote a post yesterday about my Great-great uncle who served in the Marine Corps in the Belleau Wood and before that, was with General Pershing in the Mexican Campaign. Being a New England boy from souther New Hampshire, perhaps my Great-great Uncle and Sgt. Avery crossed paths or even knew each other. I wish I could ask them. I’ll be back here, for sure. Thank you so much for your kind words. I look forward to having you back on the front lines as soon as possible. Just a big wow. To serve like Sam is a huge sacrifice when it comes to life as us civilians know it. I don’t think we can ever be grateful enough for those who serve. Your site is *awesome*. I’m reading it in bits and pieces, letting Sam sink in, who is realer-than-real, along with all the imagery. Thank you so much! Sam was quite a writer as you can see. Be sure to read the letters at the beginning (early July, 1916) for some amazing descriptions including his cross-country journey by rail from Massachusetts. Also listen to some of the period music of the times and check out the other site links here. I was going to ask you if Sam had survived The War, but reading this bio answered my questions. He must have been quite a man, to have served once and then gone back and served again and again. I don’t know how they did(/do) it. Thanks for letting me know about your project. It is a wonderful idea and I think the kids are getting a lot out of it. Nice to see you’re still updating the site. Interesting reading. Bout done with the book? Thanks for stopping by! Work on the book continues apace. Compiling the manuscript is a whole different adventure and takes its own course. I’m about halfway done with the first draft, then it’s a matter of finding a publisher. fascinating stuff, I look forward to havin a good read!